The following help-sheet explains how Profile Questions and be setup against specific SIC Codes allowing a series of questions and predefined answers to be displayed to gather further information relating to a Customer. 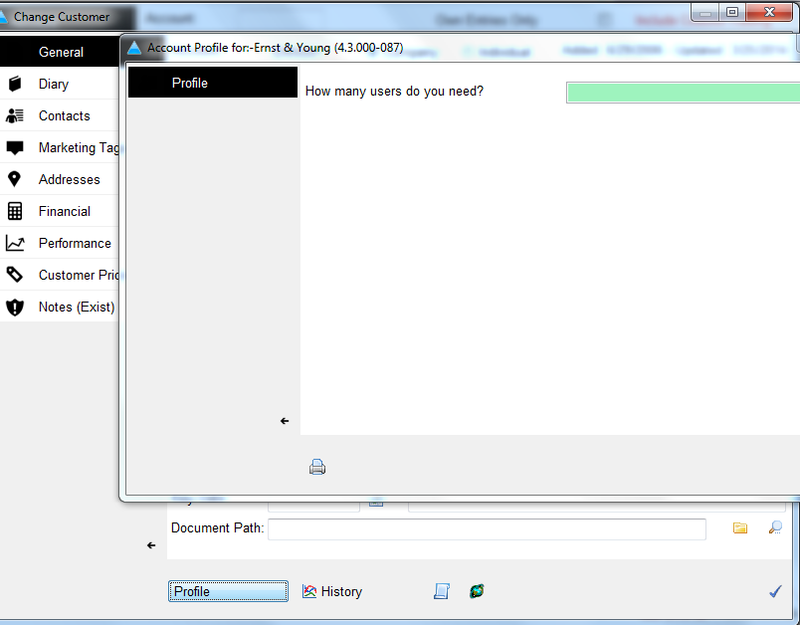 To add Questions & Answers to the screen, click 'Profile Q and R's.' The following screen will display. Click the blue checkmark. The first Question and Prompt Answers are now created. Repeat the process to add further Questions and Answers if required. Click on the drop down to display the prompt answers you have created against the SIC Code. You can also free type in the text box if the response to the question is not listed.